When it comes to getting fit, sometimes creativity comes into play. Everyone is not into the weights, medicine balls, treadmills, personal trainers and running. Some people just like to dance. Yes, I said dance, and I do not mean at the club, although that counts also. Trish Womack teaches line dancing three days a week in Randallstown, Md. and the people really enjoy it. In a room at the Maryland Center for Performing Arts, Womack gives the dancers a good workout. From 7 p.m. until 8 p.m. she teaches the beginner to intermediate class and without missing a step she goes directly into the advanced class from 8 p.m. until 9 p.m.
Each dance has a name and a song that goes along with it. Womack teaches the basic steps and after they go over the steps several times and put everything together, the music comes on and it all comes together. Everyone goes along at their own pace and has a magnificent time. It is funny to see the dancers looking at their feet during the class, but that is just to make sure every step is right. Pat Crovill has been doing the urban soul line dance for about a year and before that she did the country line dancing. “To me this is good for the body, the mind and the soul. It’s one of the few things that puts a smile on my face,” says Crovill. Haywood Johnson and his wife, Claudia Johnson, a breast cancer survivor, have been dancing with Womack for about a year. Haywood Johnson says he has been line dancing collectively for about seven years. “Doing this for the last six years, I probably lost about 70 pounds,” says Johnson. If you have always wanted to begin running, this could possibly be the program for you. Begin at your own pace and build on what you start with. 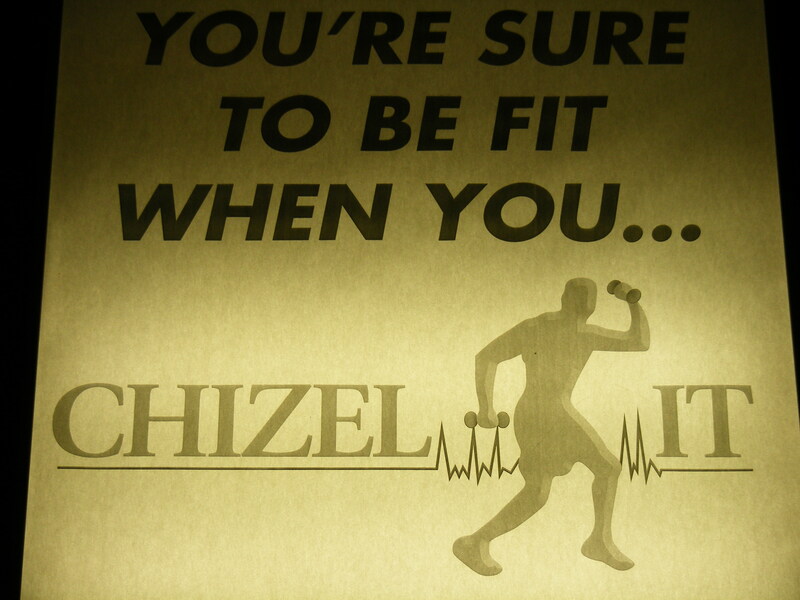 You can only improve with the method used at Chizel-It Fitness Center in Owings Mills, Md. Donna Harris, co-owner of Chizel-It Fitness Center, leads the running club. The great thing about this program is that you do not have to come to the center with a running background. If you can only run for one block, give it a try and see how far you can run at the end of training period in September. “I start my running club the 1st Saturday in May with the goal of starting my group off running at their own pace for one mile, which is a single lap around the mall. They do the best that they can taking their time, doing it at their own pace and then we build from there,” says Harris. Harris is looking to run another marathon because her group has run the Baltimore Marathon for years and she is looking for another venue and a change of scenery. Many participants have run their first marathon after joining the running club at Chizel-It Fitness Center. Runners have option of running a full marathon or a half marathon which is in October. “We start them off with baby steps and we gradually build on that,” says Harris. The sun has been out for days now and if that is not motivation to get up and out, what is? The sun gives some people energy. If that is you, get moving and try to hang on to your momentum. There is a little rain in the forecast for the weekend, but don’t let that stall your efforts. Make plans and keep going. Find that inner desire to do and do something.